// Think of your favorite Christmas tradition. One of my favorite family traditions is making Christmas cookies. My mom and I take a few weekends every December and bake. We start by pulling out the old slightly-yellowed-with age recipe cards that have been in our family for three generations. Just the smell of the cookies coming out of the oven brings back memories of childhood and many hours spent in the kitchen with my mom and grandma. It’s a tradition I can’t wait to pass on to my daughter when she is old enough to stir. Right now, at eight months, we are just working on holding a spoon! This year, as we bring two church communities together, it is an exciting time to start new traditions of our own. One way we want to do that is with Jingle Jam, a Christmas party big enough for the whole family. At Christmas time we know people are more open to visiting churches, and parents are looking for fun things to do with their children, so our goal is to create an irresistible experience that will become a new tradition for families in the community around us, as well as our church community. Jingle Jam is a chance for our neighbors to know we are here and we are “FOR THEM!” No hidden agendas. No preconceived notions. We are simply, “FOR THEM!”. One of the best ways to show our neighbors this is to throw a party, and that’s Jingle Jam. But how do we invite our neighbors to the party? And if we invite them, how do we show them they belong? If you want our church to be for its neighbors, and you agree that sometimes it takes a party, here’s how you can help. GET TO KNOW YOUR NEIGHBORS | This seems obvious, but it’s way harder to invite someone you don’t know than someone you have a relationship with, or at least know his or her name. OPEN THE DOORS WIDE | Make sure everyone knows they’re welcome. From the moment you invite them to when they arrive on campus, we want them to know we prepared this party with them in mind. Help us create a welcoming atmosphere where every family can walk in and feel connected. You can greet families as they arrive, help with activity stations, or even serve hot cocoa. 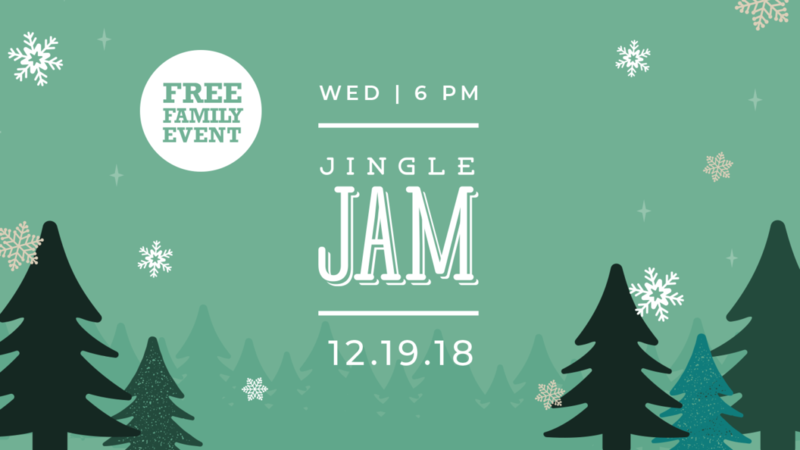 Everyone can join in the fun, so put on that festive Christmas sweater, and be a part of our new church tradition to throw the best Christmas party in town! LET THEM BELONG | We’ve invited our neighbors to the party, and now we have to make sure they feel they belong even if they look differently, think differently, or behave differently than we do. As party hosts, practice radical hospitality. When families feel they belong just as they are, it creates a space for them to encounter the love of Jesus. It invites them into a relationship where it’s safe to be themselves without judgment, as we all strive to be more like Christ together. So this Christmas, let’s create a new tradition, the best Christmas party in town – Jingle Jam! Together we can let our neighbors know we are here, and we are “FOR THEM!” We want to get to know them. We want to open the doors wide and welcome them in. We want to help them feel like this is a place where they belong! After all, people have to be invited before they belong, and then they have to belong before they will ever believe!